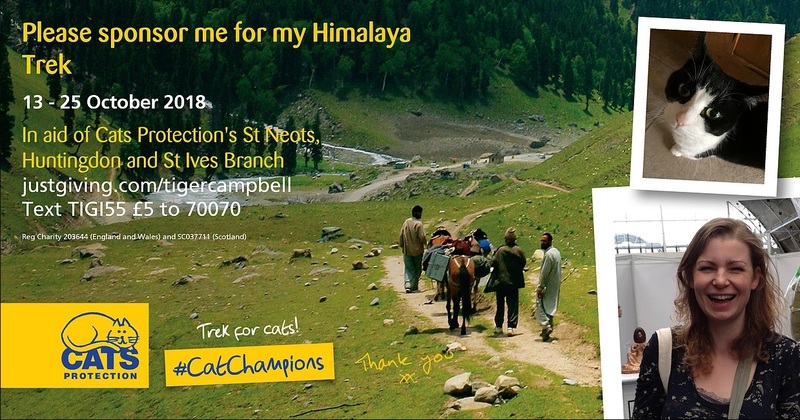 We're delighted to have local supporter Naomh, taking on the Cats Protection Himalayan Tiger & Conservation Trek in 2018 and raising funds for our branch. We'd like to say a big thank you to Naomh for choosing to support us and wish her the best of luck with her training and fundraising. Naomh needs to reach a target of £3,995 and will be carrying out lots of fundraising events to do this. Details of her fundraising events can be found on her website below.